The Crazy Story of How Israel Became a Military Giant (Thanks to Nuclear Weapons) And they will never admit it. National Interest, by Zachary Keck, 19 Apr 19, Although Israel doesn’t officially acknowledge it, it is well understood that the country possesses a nuclear weapon arsenal (although the exact number of warheads are in dispute). It is similarly well understood that the United States opposed Israel’s nuclear weapons program during the John F. Kennedy and, to a lesser extent, Lyndon B. Johnson administrations. One part of the history that is less well known is that much of the funding for Israel’s nuclear weapons program came from private Americans in an effort that was spearheaded by, Abraham Feinberg, a prominent American who served as an unofficial advisor to both President Kennedy and President Johnson. Israel’s interest in nuclear weapons basically dates back to the founding of the Jewish state in 1948. The country’s founding leader, David Ben-Gurion, was haunted both by the Holocaust and the unremitting hostility Israel faced from its much larger Arab neighbors. Ben-Gurion viewed nuclear weapons as a last resort option for ensuring the survival of the Jewish state in case its enemies ever used their much larger populations and economies to build conventionally superior militaries. The problem Ben-Gurion and his closest advisors faced was that their young, poor, and relatively unsophisticated country didn’t possess the necessary technological and material resources to support an indigenous nuclear weapons program. Israel’s best hope of acquiring nuclear weapons came from finding a foreign patron. Fortunately for Israel, contemporary circumstances created conditions for it to obtain this support……..
France agreed to provide Israel with a small research reactor similar to the EL-3 reactor France had built at Saclay. Of course, the Suez invasion quickly went awry with both the United States and Soviet Union threatening Israel, France and Britain in different ways to get them to withdraw. France was unable to protect Israel from the superpowers’ threats. Before agreeing to withdraw, however, Israel demanded that Paris sweeten the nuclear cooperation. France agreed to provide Israel with a much larger plutonium-producing reactor at Dimona, natural uranium to fuel the reactor, and a reprocessing plant—basically everything Israel would need to use the plant to produce plutonium for a bomb except for heavy water. This was a major coup—no country before or since has provided another state with such an extensive amount of the technology required to build a nuclear bomb. Still, it was only half the battle. Ben-Gurion still had to come up with the funds necessary to pay for the nuclear deal for France. …. the Israeli prime minister decided to create a private fund to finance the deal with France. As documented by Michael Karpin in his excellent history of the Israel’s nuclear program, The Bomb in the Basement, Ben-Gurion directed his staff simply to “call Abe,” referring to Abe Feinberg. Feinberg was a prominent New York businessman, philanthropist and Jewish American leader with close ties to the Democratic Party. Feinberg was a prominent New York businessman, philanthropist and Jewish American leader with close ties to the Democratic Party. Before America’s entry into World War II, Feinberg had raised money to help European Jews emigrate to Palestine. After the war ended, he—like Ben-Gurion—went to Europe to view the Holocaust concentration camps. He also helped smuggle Holocaust survivors into Palestine at a time when the British had created blockades to prevent illegal Jewish immigration. During this time, he forged lasting bonds with many of the men who would later become senior leaders of the state of Israel. Upon returning back to the United States, he helped lobby President Harry Truman to recognize the Jewish state once it declared its independence. In return, Feinberg helped raise money for Truman’s reelection campaign. Thus, it was natural that in October 1958 Ben-Gurion would turn to Feinberg to help raise the funds necessary for the Dimona deal. In fact, this wasn’t the first time Ben-Gurion would turn to American Jewish leaders to raise money for Israel’s causes. Foreseeing there would soon be a war of independence, Ben-Gurion went to New York in 1945 to raise funds to purchase armaments for the Jews in Palestine. ……. If Jesus were alive today, he might reconsider a baptism in the river Jordan; there’s a good chance he’d pick up an eye infection. Faecal bacteria in the pungent, murky waters have risen in recent years to up to six times the recommended levels. Once a raging torrent, the lower Jordan has been starved of water to become a stagnant stream, filled with sewage and dirty run-off from farms. Around 95% of its historical flow has been diverted by agriculture during the past half-century. And the river’s primary source, the Sea of Galilee – where Christians believe the son of God walked on water – has for years been dammed to prevent its demise. Following five consecutive years of drought, the Sea of Galilee has sunk to a 100-year low. A number of small islands have emerged at the water’s surface, and several holiday homes that were built on the shoreline now stand at least 100 metres from the boggy edge. Overuse has also taken its toll. Last summer, the level of the lake dropped close to a black line, a level at which it could lose its status as a freshwater body. “The black line is our best guess of that point,” says Gidon Bromberg, the Israeli director of EcoPeace, an organisation of Israeli, Palestinian and Jordanian environmentalists. “It was tens of centimetres above the black line,” he says, adding that such a shallow depth has not been seen in records taken over the past century. EcoPeace hopes that good water management will spur on peace to the region. Bromberg is now advocating for a deal in which Israel, which is on the Mediterranean, supplies desalinated water to Jordan. In exchange, Jordan, which is low on water but full of open desert with 320 sunny days a year, will supply solar power. Israel’s Secret Nuclear Reactor https://www.jerusalemonline.com/israels-secret-nuclear-reactor/ By JOL Staff -January 20, 2019, Israel began work on the Dimona nuclear reactor in 1958 without informing members of the government or the country’s parliament, Israeli historian and Haaretz contributor Adam Raz revealed, citing a trove of primary documents he reportedly received from a secret source at an academic event. The papers, which include notes, memorandums, drafts and summaries by senior Israeli officials of the time, including Israel Galili, an adviser to prime ministers Levi Eshkol and Golda Meir, Eshkol himself, cabinet member Yigal Allon and IDF commander Moshe Dayan, defence chief-turned prime minister Shimon Peres, and senior diplomat Abba Eban, helped Raz piece together important details about the clandestine project. The papers revealed that Galili had several concerns about the nuclear endeavour, known as “the enterprise,” including its potential to undermine Israel’s “moral status,” or cause then-Egyptian President Gamal Abdel Nasser to attack Israel to try to take out a “justified target.” Finally, he feared that the program could incite Cairo to start work on its own nuclear program. The documents also indicated that the cost of the Dimona reactor, estimated at about $53 million by Peres in April 1962, was revised upwards by Alon to “three times” the $60 million discussed by the cabinet in 1964. An undated note, presumably written sometime between 1963 and 1966, indicated that the real cost may have been as much as $340 million (about $2.75 billion in present day dollars, accounting for inflation). “If it were known in advance that it would cost $340 million – would we have voted for Dimona?” the note, written by Eban to Galili, reads. The documents showed that after Eshkol succeeded David Ben-Gurion as prime minister in 1963, the new PM’s foreign minister, Golda Meir, proposed admitting the existence of the program in a bid to get support from America’s Jews. One particularly important note, again by Galili, seems to indicate that even several years into the reactor’s construction, Tel Aviv did not commit to building actual nuclear bombs. “There is no decision by the government of Israel to manufacture atomic weapons,” the note says. In another bombshell document cited by Raz, Yigal Allon refers to a phraseology agreed between himself and Nixon Secretary of State Henry Kissinger, whereby a nuclear state is defined as “a state that has exploded a bomb or a device.” This definition allowed the US not to classify Israel as a nuclear state subject to the NPT. “I am constantly using a phrase agreed with Kissinger — that Israel is not a nuclear state,” Allon wrote in one of the papers. Finally, without providing any direct quotations from the documents, Raz noted that the subject of the possible use of nuclear weapons during the 1973 Yom Kippur War, in which Israel came dangerously close to defeat at the hands of Egypt and Syria, was also discussed in the papers. In brief, Raz confirmed that Defence Minister Dayan had arrived at defence headquarters in Tel Aviv on the afternoon of 8 October 1973 to recommend preparations to activate the nuclear option. On October 9, Meir told Israeli Atomic Energy Commission Chief Shalhevet Freier that preparations would not be made without her explicit authorisation. Israel Lior, Meir’s military secretary, similarly indicated to Dayan and Freier that the nuclear option was a no-go. Citing censorship, Raz indicated that the information he provided addresses “only a small portion of the subject that came up in the notes,” and urged Israeli authorities to allow for a more open discussion of the country’s nuclear program. A few years ago, shortly after I published my book “The Struggle for the Bomb” (Hebrew), about Israel’s nuclear history, I was invited to give a talk before an academic audience. Someone at the venue handed me a thick envelope and requested explicitly that I not open it until I got home. Examining its contents later that day, I discovered some 100 different documents, including slips of paper, memoranda, drafts and summations of the most intimate meetings and events relating to Israel’s nuclear history. The vast majority of the documents were original. Many of them were written by Israel Galili, a minister without portfolio and close adviser to two prime ministers, Levi Eshkol and Golda Meir. Others were penned by Yigal Allon, Shimon Peres, Moshe Dayan and Abba Eban, and by Eshkol himself. Many of the items refer to highly confidential meetings that took place in 1962-1963, where the future of the nuclear project, and its impact on Israel’s neighbors, especially Egypt, were discussed. No official minutes were taken at these meetings, and the participants were forbidden to sum them up in writing. The questions Galili posed to his colleagues at these meetings continue to occupy many historians around the world. Some of those questions – concerning the date on which the Dimona reactorwould become operational; whether its activation could be concealed from foreign inspectors; how much money had already been invested in the project and how much more would be needed – can be answered now, thanks to this trove of information. The start of work on the nuclear reactor, at the end of 1958, was kept secret from the Knesset and the government. The obvious need to keep the undertaking secret, and the fact that part of its budget came from foreign sources, made it possible to bypass temporarily any disagreements over the necessity for a nuclear program and the discussion of its potential significance. But when the reactor’s existence became public knowledge, in December 1960 – after the fact of its construction was leaked to the international media by foreign government sources – Israel’s political echelons began to discuss its future seriously. The implications of the issues surrounding the nuclear project were critical. To begin with, its continued development demanded vast monetary resources, certainly for a country still taking its first steps. Second, any further development of the facility would have ramifications vis-a-vis Israel’s integration into the Cold War web of international diplomatic relations. And third, pursuit of the project was liable to induce neighboring countries, notably Egypt, to develop independent nuclear programs of their own. Arnan (“Sini”) Azaryahu, the right-hand man of Galili and military leader Yigal Allon, said years later that one of the major decisions made in these meetings was in retrospect the most important in the history of Zionism. He was referring to the group’s decision not to accept the approach of Peres and Dayan – who urged that the absolute majority of the defense budget be diverted to the Dimona reactor and that its potential be made a public fact – but to adopt, instead, a policy of nuclear “ambiguity.”…………. the crucial aspect of the project that was kept secret from the Israeli public in those years was not the visits in Dimona (which were frequently reported in the foreign press) or U.S. pressure on Israel. It was the fact that the future of the facility and its purpose were subjects of fierce dispute in the political realm in Israel. ……….. Whereas a lively discussion on the significance of nuclear development has been held throughout the world for years, in Israel there is only silence. This is not a minor issue, as the nuclear project raises weighty questions: Who makes the decisions? Who is supervising the project? What is its effect on the foreign relations of the nuclear state? What is its cost? What effect does it have on security conceptions? And so on. $500 million Pennsylvania NUMEC toxic cleanup restarts by Grant Smith December 27, 2018 In 2015 the intelligence community acknowledged that it had a “duty to warn” U.S. persons of impending threats of “serious bodily injury.” The objective of that “duty” – which has many loopholes – is to compel intelligence agencies to warn individuals or organizations of threats so they can take evasive measures. It affirms a moral obligation intelligence agencies have to those funding – willingly or not – their operations. 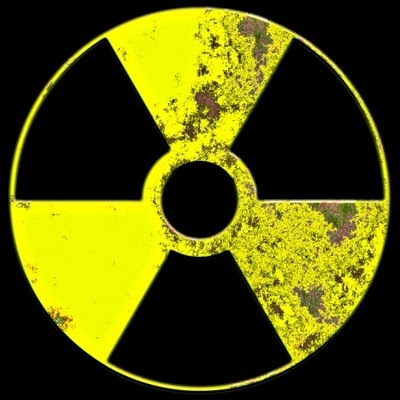 The duty to warn demands they no longer stand idly by – or worse attempt to exploit credible threats to Americans – as leverage or for other, secret intelligence purposes.Last fall the US Army Corps of Engineers announced it was finally ready to resume a $500 million toxic waste cleanup of the Nuclear Materials and Equipment Corporation (NUMEC) dump. An earlier attempt at the Pennsylvania site to excavate was stopped after the discovery of unexpected materials. NUMEC’s plant sites in Apollo and Parks Township have long been the subject of litigation over wrongful mass deaths and illnesses caused by toxic pollution. Officially NUMEC was a startup supplier of highly-enriched fuel for the US Navy. But two Central Intelligence Agency officials claimed NUMEC’s true purpose was to amass and divert US government-owned highly enriched uranium into Israel’s nuclear weapons program. 300 kilograms of highly enriched uranium disappeared from NUMEC between 1957-1978, with most of it gone by 1966. Material stolen from NUMEC would have been the most likely source for Israel’s ability to ready nuclear weapons for use during the 1967 Six-Day War. CIA Tel Aviv Station Chief John Hadden, who performed field operations to sample the environment around Dimona for highly enriched uranium – material Israel was incapable of producing on its own – claimed NUMEC was “an Israeli operation from the beginning.” CIA Directorate of Science and Technology Deputy Director Carl Duckett testified that “NUMEC material had been diverted by the Israelis and used in fabricating weapons.” There were other telltale signs. That NUMEC was a front operation, following in the footsteps of Israel’s 1940s-era conventional weapons smuggling operations from the US such as Martech, Service Airways, and the Sonneborn Institute, is well-known by the FBI and CIA. Both have released extensive archives of intelligence reports and surveillance photographs of Israeli conventional weapons smuggling from the United States through overseas networks. But both FBI and CIA have fought attempts at full disclosure of clandestine Israeli nuclear weapons related activities in the US, ostensibly because such smuggling has been unpunished and unabated. It is also US policy, under penalty of prosecution, that no federal agency may admit that Israel has nuclear weapons or release information about its program. A February 2015 lawsuit seeking all of the CIA’s “thousands” of files about NUMEC was ended when the presiding judge refused to allow adding the US Department of Justice – which has worn many hats in the NUMEC affair – as an additional defendant. However some CIA documents were released during the court battle, revealing how the CIA had refused to cooperate with two separate FBI investigations of NUMEC, preferring to cover up damning information obtained from clandestine CIA operations in Israel confirming the diversion. Documents grudgingly released by the FBI so far reveal the intelligence community likely knows that cost-cutting at NUMEC to achieve its smuggling aims was what made it such a toxic polluter. On May 5, 1969, Shapiro discussed a major toxic spill caused by such shortcuts, most likely with David Lowenthal, since the acquisition of other US companies was also part of the conversation. Shapiro ordered NUMEC workers – who often worked with no protective gear of any kind – to dampen down the spill with picks and shovels to avoid the spread of toxic dust and rain runoff carrying away the waste. Shapiro’s call was wiretapped by the FBI. The full phone call summary reveals how Shapiro – who commuted every day from Pittsburgh – considered NUMEC workers as mostly replaceable and expendable. Legal precedents suggest such toxic exposure as occurs at NUMEC could amount to “oppression, fraud, or malice” and be sufficient for victims to recover damages from polluters. However, neither the CIA nor the FBI have met their current obligations under “duty to warn” to officially alert the victims of NUMEC and contractors precisely what dangers they are still facing as the cleanup recommences. Such overdue disclosures could also allow NUMEC’s victims to pursue claims against the perpetrator and beneficiary of the fraud and pollution – the Israeli government. Evidence stored away in FBI and CIA files could fully reveal ZOA’s NUMEC involvement. If ZOA did more than unwittingly provide key members of management, ZOA’s $40 – plus million in current assets could go a long way toward compensating the long-suffering Pennsylvania victims of Israeli nuclear smuggling and partially shift the burden of paying to clean up after NUMEC away from American taxpayers. Grant F. Smith is the author of the book Divert! NUMEC, Zalman Shapiro and the diversion of US weapons-grade uranium into the Israeli nuclear weapons program. He is director of the Institute for Research: Middle Eastern Policy in Washington, D.C. and plaintiff in the 2015 lawsuit calling on the CIA to release all NUMEC-related files. In a private email leaked to the public in September of 2016, former secretary of state and retired U.S. Army general Colin Powell alluded to Israel having an arsenal of “200 nuclear weapons.” While this number appears to be an exaggeration, there is no doubt that Israel does have a small but powerful nuclear stockpile, spread out among its armed forces. Israeli nuclear weapons guard against everything from defeat in conventional warfare to serving to deter hostile states from launching nuclear, chemical and biological warfare attacks against the tiny country. ……. …….. Israel’s first land-based nuclear weapons were based on Jericho I missiles developed in cooperation with France. Jericho I is believed to have been retired, replaced by Jericho II and -III ballistic missiles. Jericho II has a range of 932 miles, while Jericho III, designed to hold Iran and other distant states at risk, has a range of at least 3,106 miles. The total number of Israeli ballistic missiles is unknown, but estimated by experts to number at least two dozen. Iran and Israel call each other nuclear threats, ask U.N. to take action, Bozorgmehr Sharafedin, Dan WilliamsLONDON/JERUSALEM (Reuters) 21 Sept 18, – Iran asked the United Nations to condemn what it described as Israeli nuclear threats against it on Thursday, while Israel said it was stepping up security around its atomic sites as a precaution against threats from Tehran and its regional allies. Israeli Prime Minister Benjamin Netanyahu used a visit to a secretive Israeli atomic reactor in August to warn the country’s enemies that it has the means to destroy them, in what appeared to be a reference to its assumed nuclear arsenal. “The United Nations’ members should not turn a blind eye to these threats and must take firms actions to eliminate all Israeli nuclear weapons,” Iran’s ambassador to the United Nations, Gholamali Khoshrou said in letters to the U.N. secretary general and the security council, was quoted as saying by Fars news agency. Khoshrou asked the United Nations to force Israel to join the Nuclear Non-Proliferation Treaty (NPT) and bring its nuclear program under supervision of the International Atomic Energy Agency (IAEA), a U.N. atomic watchdog. The director general of Israel’s Atomic Energy Commission said on Tuesday that Iran and Syria posed significant proliferation threats to the region and called for U.N. action at the 62nd General Conference of the International Atomic Energy Agency now taking place in Vienna. Reacting to Nuclear Violation Claim, Iran Says Israel Must Be Forced to Join NPT, Sputnuk News, 21 Sept 18 Iran’s permanent representative to the International Atomic Energy Agency (IAEA) issued a biting response to his Israeli counterpart’s claim that Iran and Syria posed “significant proliferation threats” to the Middle East and the world. Iranian IAEA Ambassador Kazem Gharibabadi urged the international community to pressure Israel to sign onto Nuclear Non-Proliferation Treaty (NPT), saying that doing so would be the only way to bring peace to the Middle East. Speaking at the 62nd Annual Session of the ongoing IAEA General Conference in Vienna, Gharibabadi charged Israel with threatening its neighbors, pointed to its possession of nuclear weapons, and chastised the IAEA for giving in to Israeli pressure and not following up on what he said were the country’s “dangerous” nuclear activities. Gharibabadi’s remarks came on the heels of comments at the conference by Israel Atomic Energy Commission chairman Ze’ev Snir, who also called on the international community to take action against alleged Iranian and Syrian nuclear activities……..
srael, which has a policy of neither admitting or denying the existence of a nuclear weapons program, is presently believed to be the only country in the Middle East to possess nuclear weapons, with estimates that it has anywhere between 80 and 400 warheads deliverable by a variety of air, sub and missile platforms. Radioactive sheep shed light on secret nuclear weapons test, https://nypost.com/2018/08/14/radioactive-sheep-shed-light-on-secret-nuclear-weapons-test/ Christopher Carbone, Fox News, August 14, 2018 Newly discovered data from radioactive sheep provides strong evidence that a mysterious “double flash” detected almost 39 years ago near a remote island group was a nuclear explosion. Ever since the flash was observed by a US Vela satellite orbiting above Earth in September 1979, there’s been speculation that it was produced by a nuclear weapon test by Israel. International researchers in the journal Science & Global Security analyzed previously unpublished results of radiation testing at a US lab of thyroid organs from sheep in southeastern Australia in order to make their determination. The flash was located in the area of Marion and Prince Edward islands, which are in the South Indian Ocean about halfway between Africa and Antarctica. Wilson, an epidemiologist and member of the Australia-based Medical Association for the Prevention of War, said the test would have violated the Limited Test Ban Treaty signed in 1963, and urged the United Nations to mount a full inquiry. Thyroid samples from sheep killed in Melbourne were regularly sent to the US for testing — monthly in 1979 but also in the 1950s and 1980s, researchers say. According to a report in the New Zealand Herald, the sheep had been grazing in an area hit by rain four days after the flash incident was observed, which would have been in the downwind path from the suspected explosion site. Researchers also said the detection of a “hydroacoustic signal” from underwater listening devices at the time is another piece of evidence pointing to a nuclear test. Israel, which has neither confirmed nor denied the existence of a nuclear program, dismissed the claim that it was responsible for the 1979 incident. However, the country’s former Knesset speaker, Avrum Burg, told a conference in 2013 that “Israel has nuclear and chemical weapons” and called for public discussion. Commenting on the findings, US nuclear weapons expert Leonard Weiss of Stanford University said in the online Bulletin of the Atomic Scientists that the “important” new evidence “removes virtually all doubt” that the flash was a small-yield nuclear explosion. Weiss added that there was “growing circumstantial evidence” that it was conducted by Israel. “Israel was the only country that had the technical ability and policy motivation to carry out such a clandestine test,” he said. For more than half a century, Israel has maintained a cover of silence and opacity regarding its nuclear program and arsenal, backed up by the threat of severe punishment and persecution for any Israeli (see Mordechai Vanunu) who dares publicly breach the cover. In return for this silence, plus a pledge of restraint on certain nuclear development activities, the United States has reportedly agreed in writing not to pressure Israel to sign the Nuclear Non-Proliferation Treaty or get rid of its nuclear arsenal. (See this recent New Yorker article by Adam Entous.) US policy on Israel also includes its own public silence concerning Israeli nuclear weapons. But this policy should change as a result of a new scientific study of an event that took place nearly 40 years ago, during the Carter Administration. That study makes it virtually certain that the event was an illegal nuclear test. This strengthens previous analyses concluding that Israel likely carried out a nuclear test in violation of US law and the Limited Test Ban Treaty. The response to this new study will determine whether the United States and the international community of nations are serious about nuclear arms control. On September 22, 1979, a US Vela satellite, designed to detect clandestine nuclear tests, recorded a “flash” off the coast of South Africa that every nuclear scientist monitoring the satellite’s detectors at the time believed fit the classic description of a nuclear explosion. President Jimmy Carter’s book based on his White House diaries notes that he was immediately informed of the “flash” by his national security team; with the information came speculation that the event was an Israeli nuclear test at sea, with South African participation. …….. Important new and dispositive evidence that the “flash” was a nuclear test has been added recently by two respected scientists, Christopher Wright of the Australian Defense Force Academy and Lars-Eric De Geer of the Swedish Defense Research Agency (Ret. ), writing in the journal Science & Global Security. (The 22 September 1979 Vela Incident: The Detected Double-Flash, Science & Global Security, 25:3, 95-124, DOI: 10.1080/08929882.2017.1394047) ………. The new study by Wright and De Geer should receive wide attention because it provides a test of the commitment by the international community to nuclear arms control and nonproliferation norms. While a comprehensive nuclear test ban is yet to be achieved, the nations of the world did manage to put in place an extremely important arms control, non-proliferation, and environmental protection measure called The Limited Test Ban Treaty (LTBT). This treaty, which went into force in 1963, bans nuclear explosions in the atmosphere, in outer space, and under water, thus rendering legal only those nuclear tests performed underground. Israel signed the treaty in 1963 and ratified it in 1964. The Israeli nuclear test puts Israel in violation of the LTBT, which has been signed by 108 countries, including all the officially recognized nuclear weapon states plus India, Pakistan, and Iran. Israel would also be in violation of the Glenn Amendment to the Arms Export Control Act, a US law passed in 1977, requiring the cutoff of military assistance to any country setting off a nuclear explosion. The president can waive the sanction, but he has to face the issue. In the meantime, what should be a consequence of the flagrant violation of the Limited Test Ban Treaty? Israel said to have 300 Nuclear Weapons. And Some Are in the ‘Ocean. Israel has never officially admitted to possessing nuclear weapons. Unofficially, Tel Aviv wants everyone to know it has them, and doesn’t hesitate to make thinly-veiled references to its willingness to use them if confronted by an existential threat. Estimates on the size of Tel Aviv’s nuclear stockpile range from 80 to 300 nuclear weapons, the latter number exceeding China’s arsenal…….. Though Israel is the only nuclear-armed state in the Middle East, Tel Aviv is preoccupied by the fear that an adversary might one day attempt a first strike to destroy its nuclear missiles and strike planes on the ground before they can retaliate. Currently, the only hostile states likely to acquire such a capability are Iran or Syria. To forestall such a strategy, Israeli has aggressively targeted missile and nuclear technology programs in Iraq, Syria and Iran with air raids, sabotage and assassination campaigns . However, it also has developed a second-strike capability—that is, a survivable weapon which promises certain nuclear retaliation no matter how effective an enemy’s first strike……….In the 1990s the United States declined to provide Israel with submarine-launched Tomahawk cruise missiles due to the rules of the Missile Technology Control Regime prohibiting transfer of cruise missile with a range exceeding 300 miles. In early May, as the world held its breath in anticipation of the nuclear disarmament discussions between US President Donald Trump and North Korean dictator Kim Jong Un and struggled to digest Trump’s decision to pull the United States out of the Iran nuclear deal, an international meeting on the subject was winding up in Geneva. Over several days, representatives of dozens of states discussed preparations for the fifth review conference of the Nuclear Non-Proliferation Treaty (NPT) scheduled to take place in 2020. As always, the Egyptian representative attacked Israel for refusing to sign the treaty. The Iranian ambassador to the International Atomic Energy Agency (IAEA), Raza Najafi, took the opportunity to take a dig at the United States for its nuclear cooperation with the “Zionist regime.” The Iranian news agency reported that Najafi stressed his country’s full commitment to the treaty. Also as always, Israel observed the scene from the sidelines, just as it did last July when 122 states signed a treaty banning a series of nuclear weapons-related activity such as attempts to develop, test, produce, spread and stockpile such weapons. Obviously, the world’s nine nuclear states did not append their signatures to the document. Israel, which is not a member of this club, was also absent from the list of signatories. Iran signed. For over five decades, Israel has been playing both sides. Despite numerous and persistent indications that not all of its nuclear reactors are designed for peaceful use, Israel does not admit to having a bomb. In fact, for years, it has maintained a policy of ambiguity, neither denying nor admitting possession of a nuclear bomb. Last week, The New Yorker reported that shortly after assuming office, Trump agreed to a request by Prime Minister Benjamin Netanyahu to sign a letter promising not to press Israel to give up its nuclear weapons. According to the report, three previous residents of the White House had signed similar commitments. The presidential commitment has a caveat. According to The New Yorker, there is an unwritten understanding on Israel maintaining its longstanding nuclear policy. In other words, Israel cannot admit to having nuclear weapons. This ambiguity enables the United States to provide Israel with a diplomatic umbrella and to repel pressure on it to join the NPT. It also requires Israel to keep IAEA inspectors away from its reactors. As a result, Israelis know nothing about the condition of the aging nuclear reactor in the southern town of Dimona and the extent of its compliance with international safety standards. That is how Israel managed both to create nuclear deterrence and to prevent inspection of all its nuclear facilities. Explaining its support for Israel’s nuclear ambiguity in position papers it presented at the recent Geneva conference, the United States said countries in the region were trying to obtain weapons of mass destruction in violation of their NPT commitments. In order to clarify that it was not pointing at Israel, the United States argued that these states refuse “to recognize and engage Israel as a sovereign state … [and] instead pursue divisive actions to isolate Israel.” More so; since a dig at Trump’s predecessor is always de rigeur, the position papers claim that international discussions on the matter between 2010 and 2015 (during the Barack Obama administration) illustrated the limitations of focusing on nuclear weapons without addressing the underlying political and security issues in the region. Indeed, the vision of a denuclearized Middle East cannot be realized without addressing the region’s political and security issues. However, these issues cannot be addressed without dealing with the prolonged Israeli occupation of Palestinian territory and breathing life into the long dormant 2002 Arab Peace Initiative, which foresees Arab states normalizing ties with Israel in return for its withdrawal from the occupied territories. To avoid background noise that could disrupt the on-again, off-again Israeli-Palestinian diplomatic negotiations over the years, the American partners in what is known as the Middle East Quartet (which also includes Russia, the UN and the European Union) have been ignoring Israel’s refusal to join the NPT. The US withdrawal from the nuclear deal with Iran as well as the relocation of its embassy in Israel to Jerusalem, its boycott of UNESCO and its recently launched trade war are all weakening the Trump administration’s leverage in the international diplomatic arena. The bear hug between Israel and Trump might prove the beginning of the end of Israel’s nuclear ambiguity policy and the opening shot of a wild nuclear weapons race in the Middle East.